Here's what Yahoo! Movies said about Drive Me Crazy ! Nicole (Melissa Joan Hart) and Chase (Adrian Grenier) live next door to each other � but are worlds apart. Nicole is up on the latest fashions; Chase, on the latest protest. She wouldn�t miss a pep rally or basketball game; he can usually be found moping in some darkened coffee house. Nicole wants a dream date with the star basketball player. But she got dissed. Chase�s girlfriend is smart and beautiful. But he got dumped. Now that they have something in common, Nicole and Chase reluctantly join forces to navigate the land mines of high school love. Their scheme: date each other to attract the interest and jealousy of their respective romantic prey. But in the midst of planning a gala centennial celebration, Nicole and Chase find that the one they always wanted was closer than they ever realized. The romantic comedy "Drive Me Crazy" stars Melissa Joan Hart, who plays the title role in the hit series "Sabrina, the Teenage Witch," now in its fourth season on ABC-TV. Adrian Grenier, who appeared in Woody Allen�s "Celebrity" and as the title character in the acclaimed festival hit "The Adventures of Sebastian Cole," takes on the role of Chase. Veteran actor Stephen Collins (TV�s "7th Heaven," "The First Wives Club") plays Nicole�s wayward father. Co-starring in "Drive Me Crazy" are a group of talented young actors including Susan May Pratt ("10 Things I Hate About You," the upcoming "City Ballet"); Mark Webber ("Whiteboys") and Kris Park ("I Love You, I Love You Not"). The director is John Schultz, who last helmed the independent, rock-themed feature "Bandwagon." Amy Robinson ("With Honors," "After Hours") is the producer. The screenplay is by Rob Thomas ("Dawson�s Creek"), based upon the novel How I Created My Perfect Prom Date by Todd Strasser. The film takes its title from the third single off teen singing sensation Britney Spears� four-time-platinum-selling album � Baby, One More Time, which is featured prominently in the film. The "Drive Me Crazy" soundtrack also features the Backstreet Boys� current number one hit, "I Want It That Way," plus new music from Don Phillips and Steps. The director of photography is Kees Van Oostrum, A.S.C., the production designer is Aaron Osborne, and the film editor is John Pace. Nancy Paloian-Breznikar is the co-producer, and music is by Greg Kendall. Music supervisors are Tom Wolfe & Manish Raval. For almost four years, Melissa Joan Hart has played one of television�s most memorable adolescents on "Sabrina, the Teenage Witch." The popular comedy series, about a young woman whose special powers wreak havoc on her life, is a Friday night TV mainstay. Now, in "Drive Me Crazy," Melissa�s feature film debut, she again plays a teen. But "Drive Me Crazy�s" Nicole is definitely not Sabrina. "�Drive Me Crazy� has many levels," says Melissa, "and so does my character, Nicole. It�s fun and romantic, but there are some interesting ideas behind it. A lot of �teen� films and TV shows distinguish between the �smart girl� and �pretty girl� roles. Nicole encompasses both; she�s popular but she�s also smart enough to know why she�s popular." Director John Schultz elaborates on the character, describing Nicole as someone who has "bought into the system of high school and is making it work for her. She takes her high school career seriously � she participates in all the important committees and hangs around with the �right� people. And now to cap it all off, she�s helping to put together this huge night celebrating the school�s centennial. And the last little cherry on top is getting the perfect date." But when the object of Nicole�s affection opts to take someone else to the event, her childhood friend, Chase, enters the picture. It�s not an easy fit at first, because they are so different. "While Nicole embraces the system, Chase completely rejects it," explains Schultz. "He�s sarcastic and doesn�t take anything seriously. He calls himself �disaffected youth�." Chase and Nicole undergo some major changes when they unexpectedly hook up to put their respective romantic lives back on track. Says Melissa: "With Chase showing the way, Nicole gets a taste of the other side. Since she�s a bright and open person, she comes to understand that everyone can�t be defined as either �cool� or �geek�. She learns to think about what�s inside a person as well as what�s on the outside." Adds Adrian Grenier, who plays Chase, "Nicole helps Chase expand himself and vice versa. They both learn that there�s more than one way to live life." According to Adrian, the two characters come full circle, in a way, since childhood. "Chase and Nicole grew up together. When they were children, fitting in wasn�t an issue. As they grew up, it did become an issue, and Nicole and Chase went in different directions. Eventually they learn to put aside the things that had led to them drifting apart." The characters� surface differences � and changes � were reflected by the actors who played them. Melissa grew up acting on television; Adrian wasn�t even familiar with her work on "Sabrina." Adrian is tall and dark; Melissa is petite and blond. "Melissa and Adrian were opposites in some ways," acknowledges director John Schultz, "and I hoped their differences would work for the movie because their characters are supposed to be opposites. After a short time, they worked so smoothly together that it was easy to believe that they grew up next door to one another." Prior to filming, Melissa was a little nervous about working with Adrian, whom she perceived to be "intense." Adrian was similarly guarded, having only heard of Melissa as a "TV entity." But like their characters, Melissa and Adrian came to see through the outside differences. "It was wonderful to work with Adrian because he�s so talented � and a lot of fun," says Melissa. Adrian, too, was happily surprised. "I was blown away when I met Melissa," he remembers. "She was just as cool and fun as any of my friends back in New York." "Drive Me Crazy" is based on a novel for young adults by Todd Strasser entitled How I Created My Perfect Prom Date. Producer Amy Robinson, who happened to be looking for such a novel to turn into a film, was intrigued by the title and found the book to have considerable potential. "I thought it was almost a teenage �When Harry Met Sally ��" she remembers. "It had a good story, romance, friendships, laughs and characters who go through some interesting changes." In the course of her work, Robinson became familiar with the young adult novels of another writer, Rob Thomas, whom she hired to turn How I Created �into a screenplay. Thomas would later go on to write for the popular teen series "Dawson�s Creek." Director John Schultz appreciated not only the script�s humor but also its look at teen life. "It was the only screenplay I had read that reminded me of when I was in high school and the way I see my nieces and nephews in high school now," he comments. "It was straight ahead and honest � and a lot of fun." Schultz, whose previous film, "Bandwagon," received much critical praise and was a hit on the worldwide film festival circuit, seemed like an excellent choice to helm "Drive Me Crazy." "We were looking for a young, interesting, hip director," Robinson recalls. "I was going through tapes of films, and came across �Bandwagon�. I thought it was charming and funny, and that John got great performances from the actors." Robinson believes Schultz made the most of the "Drive Me Crazy�s" themes and characters. "I think he brought a tremendous amount of humanity to the film," she notes. "The characters are treated with respect, so we can understand them, laugh with them and identify with them at the same time." Schultz�s understanding of the material and rapport with the actors was evident early on. Says Robinson: "John once said to me, �The reason you and I get along so well is because in our hearts we�re still teenagers�," she says, laughing. "And I think in some ways that is true." Key to bringing out these themes, in addition to being the film�s romantic center, are the two actors who play Nicole and Chase. Melissa Joan Hart, who squeezed in the filming of "Drive Me Crazy" in Utah while shooting "Sabrina, the Teenage Witch" in Los Angeles, impressed the filmmakers with her boundless enthusiasm. "She really wanted to do something different here than what she�s done on TV, and she succeeded," says Schultz. Schultz and Robinson agree that Melissa has many qualities audiences will be able to identify with. "She�s very real," offers Robinson. "I think a lot of girls who see the movie will say to themselves, �Nicole is no different from me. She�s struggling with things I struggle with.� Melissa brings a real accessibility and humanity to the part." A show business "veteran" compared to her fellow castmates, Melissa drew the group together, creating a central point around which they could create their respective characters. "She really fit in beautifully with everyone," states Schultz. "And I guess that�s part of her appeal � she�s so regular and normal." Melissa�s co-star, Adrian Grenier, brings a similar appeal to his role. Says Amy Robinson, "Adrian gives Chase a kind of gentleness, humor and a devilish attitude. I think it will be easy to understand why, once Nicole cleans him up a bit, Chase makes everybody�s head turn." Schultz hopes that audiences will respond to and identify with not only Chase and Nicole, but the other characters as well. "I think they�re all real," he states, "and that�s what people will relate to. No one is a 100 percent villain, and no one is perfect. That what was of the enjoyable aspects of the script � taking these different types of characters and watching them change and grow." Bringing these roles to life is a talented ensemble of young actors, several of whom have received notice for their work on stage and in independent films. Mark Webber portrays Chase�s friend, Dave � Designated Dave � who earns his nickname by being the head of drive safe program. "Dave�s into the Internet and video games," says Mark. "He�s kind of a nerd, but he�s also somewhat cool." Another friend of Chase�s is Ray Neeley, played by Kris Park. "Ray is a video geek," explains Kris. "He�s a cameraman extraordinaire who enjoys catching his classmates at their worst moments and playing it over the school A/V system." Ali Larter plays Chase�s girlfriend, Dulcie. "She�s the kind of girl who goes against the grain," says Ali. "Dulcie is very cool; she likes alternative music and is the polar opposite of Nicole�s friends with her taste in clothes and make-up. Those things just aren�t important to her." Nicole�s closest friend, at least at first, is Alicia, played by Susan May Pratt. Possessing an acerbic wit, Alicia is a lot of fun to be around until she shows her true colors to Nicole. "She�s a popular, rich girl who looks down on everyone," offers Susan. "She has a snide remark for everything." A more genial character � but with a few surprises of her own � is Dee Vine, played by Keri Lynn Pratt. "Dee tries really hard to be popular," Keri shares. "She�s reinvented herself." Also part of Nicole�s clique is Chloe, played by Lourdes Benedicto, who describes her character as "rich, prissy in a good way, together and very organized." The sole male in this group is Rupert, who, according to the actor taking on the role, Keram Malicki-Sanchez, is "arrogant, self-assured, vain and who thinks he is hipper-than-thou." Playing Nicole�s dream date, Brad, a star basketball player, is Gabriel Carpenter. All the actors make the most of their respective characters, brining a sense of excitement and reality to the teen world they inhabit. Melissa Joan Hart, for one, never tires of playing a teenager, whether on film or television. "There are so many different levels of being a teen," she says. "In just five years you go from being a child and completely dependent on someone, to being an adult and dependent on yourself. And there are so many different stages you have to go through to get to that point. That is what�s really interesting about being a teenager." MELISSA JOAN HART (Nicole Maris) plays the title role in the hit series "Sabrina, the Teenage Witch," which has begun its fourth season on ABC-TV. Winner of numerous Youth in Film awards for her work, Melissa received a CableAce nomination for Best Actress for playing the title role in the popular Nickelodeon comedy series "Clarissa Explains It All." Her many television credits also include the Emmy Award-winning movie "Christmas Snow" and the films "Twisted Desire," "Silencing Mary" and "Two Came Back." The latter two were made by her production company, Hartbreak Films. She guest-starred on the series "The Equalizer," "Are You Afraid of the Dark" and "Touched by an Angel." Melissa also appeared in the teen romantic-comedy hit "Can�t Hardly Wait." Her stage credits include her Broadway debut opposite Martin Sheen in "The Crucible," and the Circle Repertory�s productions of "Beside Herself" and Peter Hedges� "Imagining Brad." Soon thereafter, she was invited to become the youngest member of the Circle Repertory Lab Company. 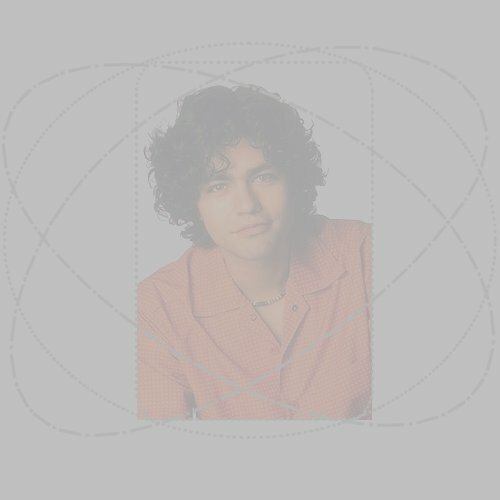 ADRIAN GRENIER (Chase Hammond) first caught everyone�s attention with his performance in the independent film "The Adventures of Sebastian Cole," directed by Tod Williams. His other credits include roles in Woody Allen�s "Celebrity" and "Hurricane." He begins shooting "Cecil B. Demented" for director John Waters this fall. Adrian�s theater credits include the BAM/Next Wave Festival production of "Take My Breath Away" and "The Rimers of Eldritch," a play he appeared in while still attending high school. He then trained at Bard College and with Nancy Hillman. Adrian plays drums and is currently on tour with his band. STEPHEN COLLINS (Mr. Maris) has worked extensively in film and television. He currently stars as a progressive minister in the hit series "7th Heaven," and had notable roles in the mini-series "The Two Mrs. Grenvilles," "A Woman Named Jackie" (as JFK), "The Rhinemann Exchange" and "Scarlett" (as Ashley Wilkes). Collins also starred in the series "Tales of the Gold Monkey," "Tattingers" and "Working It Out." Among his many big screen credits are "The First Wives Club," "Star Trek: The Motion Picture," "Jumpin� Jack Flash," "Brewster�s Millions," "Loving Couples" and "The Promise." He is also the author of two novels, Eye Contact and Double Exposure. SUSAN MAY PRATT (Alicia) is currently before the cameras on "City Ballet," in which she stars opposite Peter Gallagher. In the big screen drama, Susan plays a ballerina struggling to rise to the top of the ballet world. Susan was recently seen in the popular teen comedy "10 Things I Hate About You." She also appeared in director Edward Burns� "No Looking Back" and starred in the HBO movie "The Substitute II." She guest-starred on the hit television series "Law & Order." MARK WEBBER (Dave) has a starring role in "Whiteboys." From Fox Searchlight Pictures, the film is a funny, honest and searing look at white wanna-be gangstas in the heartland � and at America�s youth struggling to find their place in a multi-cultural society. He also starred or was featured in the films "The Rising Place," "Snow Day," "Boiler Room," "Jesus�s Son" and "Edge City." Mark has also acted on the stage, including productions of "Was on Top," "God�s Country," "Waiting For Godot," "Henry V," "Crazy For You" and "Rosencrantz and Guildernstern Are Dead." KRIS PARK (Ray Neeley) was last seen appearing opposite Claire Danes in "I Love You, I Love You Not." His other film credits include "Harvest" with Mary McCormack, "Camp Stories" with Jerry Stiller, and "Gun." His stage credits include "When You Coming Back Red Ryder?" "Golden Boy," "A Different Moon," "Does a Tiger Wear a Tie?" "Shadowbox," "House of Blue Leaves" and "Missing Persons." Kris studied acting at NYU�s Tisch School of the Arts and at the American Academy of Dramatic Arts in New York. GABRIEL CARPENTER (Brad) co-starred in the film "Atlas Fallen" and had featured roles in "Coming Soon" and the controversial drama "Kids." He appears in the new television series "Freaks and Geeks" as well as in "New York Undercover." ALI LARTER (Dulcie) has a lead role in the new big-screen thriller "The House on Haunted Hill," and recently began production on the psychological thriller "Flight 180." She made her feature film debut in the independent feature "Cassanova Falling," following that with a starring role in "Varsity Blues." A native of Cherry Hill, New Jersey, Ali began modeling at age 13 and traveled the world before moving to Los Angeles to study acting. Her first professional acting job was a role on the television series "Chicago Sons," and she has since appeared on "Chicago Hope," "Just Shoot Me" and "Suddenly Susan." LOURDES BENEDICTO (Chloe Frost) has a recurring role on the series "NYPD Blue." She had roles in the films "Permanent Midnight" and "New York Stories," and in the PBS production of "Gryphon." Lourdes also performed in several stage productions while studying acting at Carnegie-Mellon University. KERI LYNN PRATT (Dee Vine) stars in the new Fox television series "Manchester Prep," based on the hit film "Cruel Intentions." She recently completed a starring role in the motion picture "The Smokers," also starring Dominique Swain and Oliver Hudson. NATASHA PEARCE (Sue) has a recurring a role on the new television series "Popular." She has appeared in over a dozen series, including "ER," "413 Hope Street," "Sister Sister," "Buffy the Vampire Slayer," "The Parent �Hood" and "The Steve Harvey Show." Natasha, who also sings and dances, has toured with John Tesh as his featured vocalist on his Discovery Tour, and has toured with Diana Ross and Lionel Richie. JORDAN BRIDGES (Eddie Lampell) recently completed filming a co-starring role in the film "Frequency," opposite Dennis Quaid, Jim Caviezel, Andre Braugher and Noah Emmerich. Jordan also stars as the young P.T. Barnum in the A&E mini-series "Barnum," directed by Simon Wincer. He also co-starred in the New York-filmed independent feature "Macbeth in Manhattan" with Gloria Reuben and Harold Perrineau, Jr. Trained at the prestigious LAMDA institute in London, Jordan has appeared on stage in such plays as "Angels in America," "Hamlet," "A Midsummer Night�s Dream" and "A Winter�s Tale." Other television appearances include "The Defenders" and "The Thanksgiving Promise." He is a graduate of Bard College where he studied performing arts. KERAM MALICKI-SANCHEZ (Rupert) had leading roles in the films "Cherry Falls," "American History X," "No Contest," "Boulevard," "Skin Deep," "Daddy�s New Girlfriend" and "Pied Piper of Hamelin." Among his numerous television credits are "Buffy The Vampire Slayer," "Silk Stalkings," "Ready Or Not," "Katts and Dogs" and "I�ll Take Manhattan." JOHN SCHULTZ (Director) made his feature film directing debut on "Bandwagon," which he also wrote. The film, about four guys who form a band and hit the road in search of dubious rock stardom, was hailed at numerous festivals around the world, and won a prize at the Tokyo International Film Festival. Schultz previously worked on documentaries, included the much-praised "Making of Jurassic Park," which he spent three years on and which is available in video stores. He is currently putting together a project set against the world of stock car racing. ROB THOMAS (Screenplay) is the author of five books: Rats Saw God, Slave Day, Doing Time: Notes From the Underground, Satellite Down and Green Thumb. He was the creator of the comedy series "Cupid," which aired last season, and began his career as a staff writer on "Dawson�s Creek." Thomas recently completed a screen adaptation of his own book, Slave Day, as well as an adaptation of the novel The Brothers K. Before moving to Los Angeles to pursue a television and screenwriting career, Thomas taught high school journalism for five years. AMY ROBINSON (Producer) began her theatrical career as an actress, best known for her role in Martin Scorsese�s "Mean Streets," before turning to producing. In 1977, Robinson, Griffin Dunne and Mark Metcalf produced the film "Chilly Scenes of Winter," starring John Heard and Mary Beth Hurt. In 1982, Robinson and Dunne formed Double Play Productions. They eventually produced the films "Baby It�s You," written and directed by John Sayles; "After Hours," written and directed by Scorsese and starring Dunne; "Running on Empty," directed by Sidney Lumet; "White Palace" (with Mirage Entertainment), directed by Luis Mandoki and starring Susan Sarandon; and "Once Around," Lasse Hallstr�m�s American debut, starring Holly Hunter and Richard Dreyfuss. Robinson, along with Paula Weinstein, went on to produce "With Honors," starring Joe Pesci. Robinson recently produced, with Armyan Bernstein, "For Love of the Game," starring Kevin Costner and Kelly Preston and directed by Sam Raimi. She is currently shooting "Autumn In New York," starring Richard Gere and Winona Ryder, and directed by Joan Chen. KEES VAN OOSTRUM, A.S.C. (Director of Photography), a native of The Netherlands, recently worked on the feature film "Joan of Arc: The Virgin Warrior." In addition to the big screen "Thinner," he has photographed numerous television movies and mini-series, including "Before He Wakes," "Old Man," "Separate Lives," "Return to Lonesome Dove," "Gettysburg" and "The Burden of Proof." AARON OSBORNE (Production Designer) has worked on numerous independent films, including "Trippin�," "Another Day in Paradise," "Don�t Be a Menace to South Central While Drinking Your Juice in the Hood" and "Spent." He also served as production designer on the 1998 television series "Wind on Water." Osborne also has an extensive theater background running Los Angeles� Theater Carnivale performance troupe where he is a three year "Best of L.A." award winner. JOHN PACE (Film Editor) collaborated with "Drive Me Crazy" director John Schultz on their debut feature, "Bandwagon." He has since edited the features "The Big Empty" and "Thick As Thieves." NANCY PALOIAN-BREZNIKAR (Co-Producer) was co-producer on the drama "Best Laid Plans," released by Fox Searchlight Pictures. Among her feature film producing credits are "Lured Innocence," "The Maker," "Rumpelstiltskin," "Little Sister" and "To Protect and Serve." She also produced the television films "A Weekend in the Country," "Out There" and "Amanda & the Alien." TOM WOLFE & MANISH RAVAL (Music Supervisors) have teamed on "There�s Something About Mary," "Mumford," "Zero Effect," "The Big Lebowski," "Kingpin" and the upcoming comedy "Me, Myself and Irene," directed and co-written by the Farrelly Brothers and released by Twentieth Century Fox. GREG KENDALL (Music) previously collaborated with director John Schultz on the acclaimed film "Bandwagon," a comedy about a struggling band and their adventures on the road. TM & � 1999 Twentieth Century Fox. All contents copyrighted by Yahoo and Twentieth Century Fox. Email Me If you want me to take it down! Please give credit to the respectful owners! Thanks!